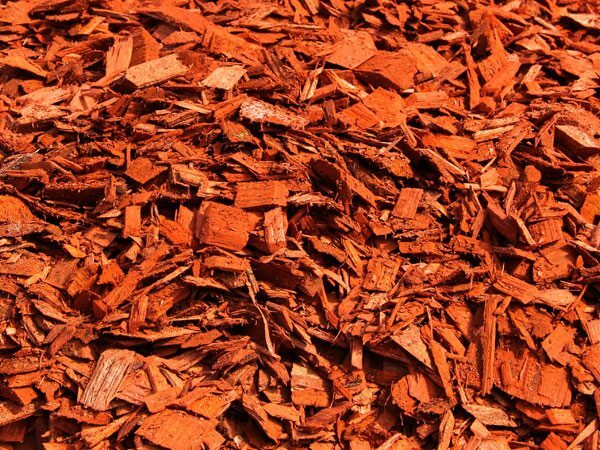 Red coloured chip is a wood chip made from dyed softwood. Its vibrant colour provides aesthetic appeal with which to enhance or contrast a neatly landscaped section. 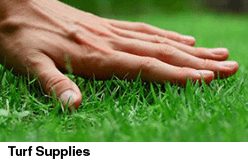 This mulch provides good weed suppression and moisture retention through its make-up while adding a finished look to your garden. 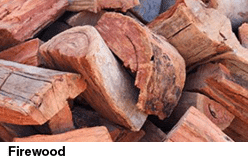 Manufactured from by-products in sawmill timber processing, this chip decomposes slowly, meaning less work in the garden for you. The colouring comes from a non-toxic oxide stain and is totally safe for the home environment.